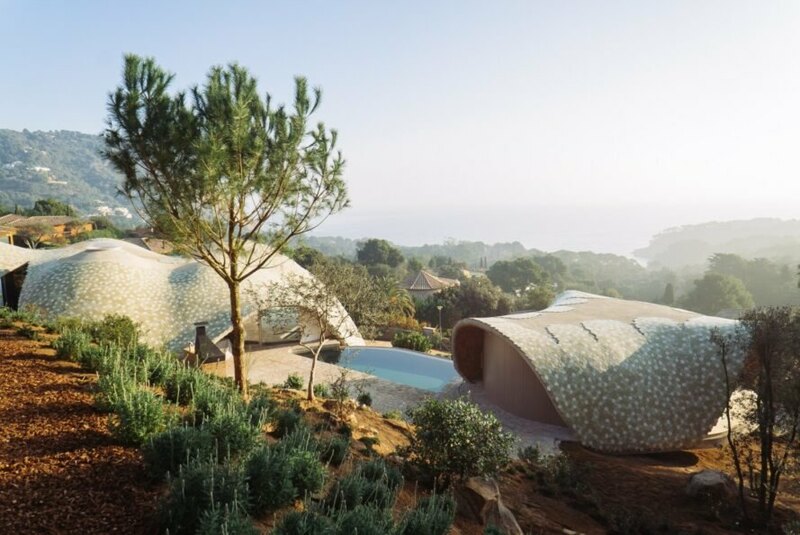 Cloud 9 architect Enric Ruiz-Geli has recently unveiled a beautiful home design in the gorgeous Spanish region of Costa Brava. 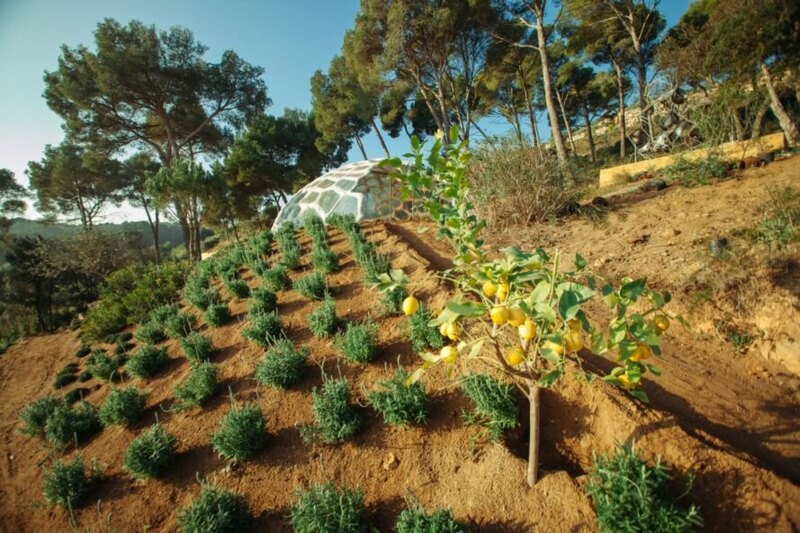 Located on a rustic lot of land overlooking the sea, the dome home is an experimental prototype that combines traditional building techniques with advanced digital and sustainable manufacturing. 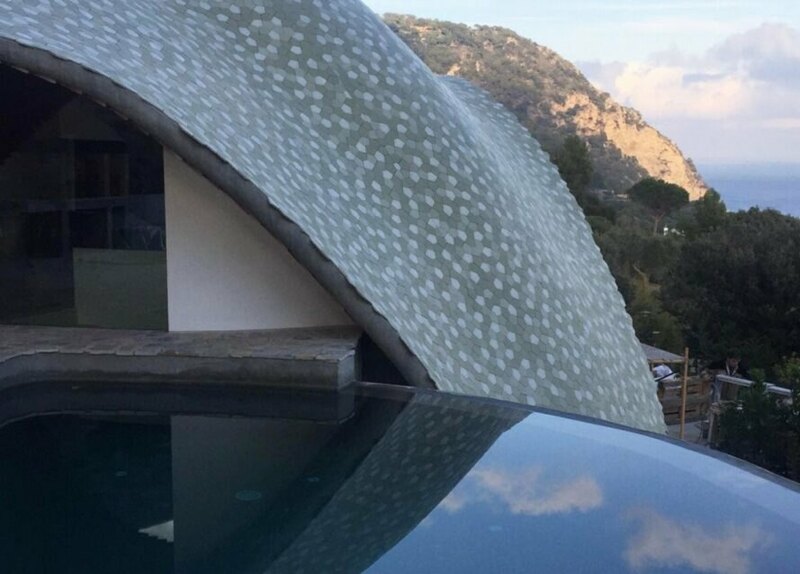 The Stgilat Aiguablava villa is a domed structure inspired by traditional Mediterranean architecture, normally marked by ceramic cladding, flowing shapes and ample natural light. For the experimental villa, Ruiz-Geli wanted to combine all of these aspects while reinterpreting the local traditional vault system, known as the Volta Catalana. Using advanced fiberglass engineering, the structure was built with flowing vaulted volumes, adding movement and light to the design. 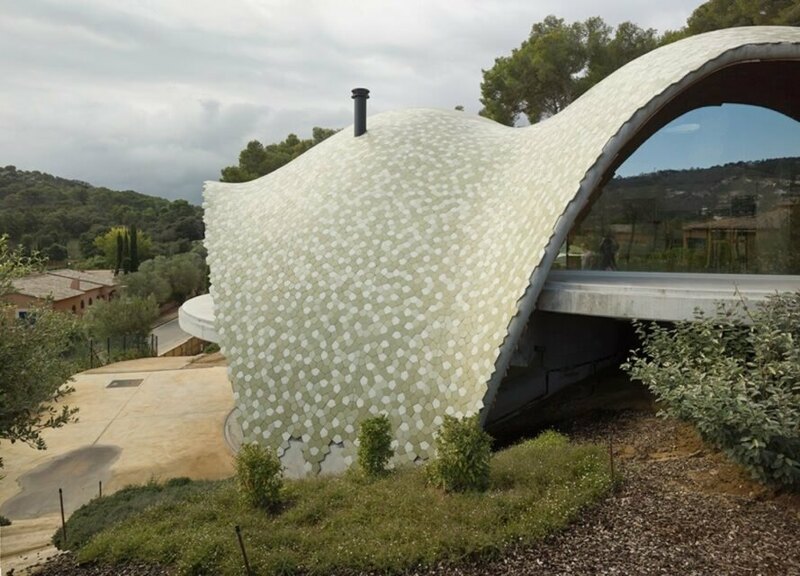 The curvaceous arches, however, did present a challenge for the artisan ceramist Toni Cumella, who was charged with creating a ceramic cover that would allow the home to blend in with the surroundings. 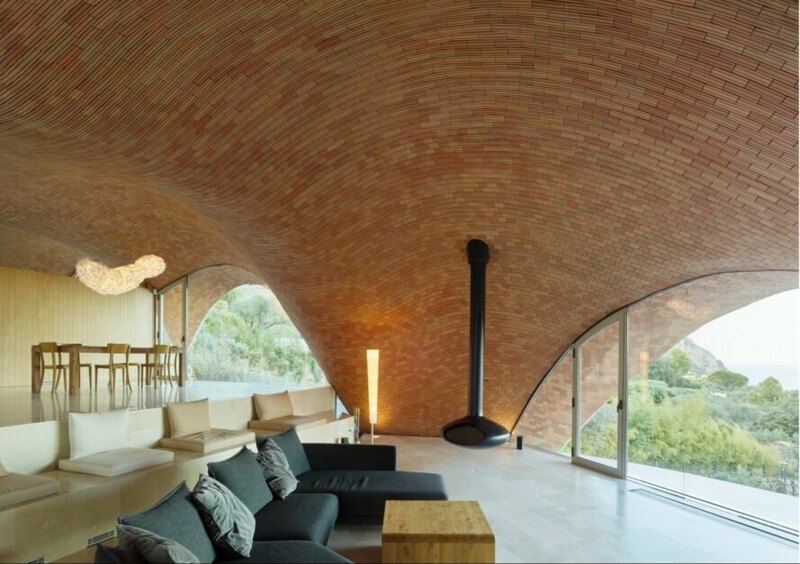 Similar to the exterior, the interior of the home is also marked by high arched ceilings. The living space is immersed in natural light thanks to glazed walls that look out over the landscape to the sea. By using a modern version of the Volta Catalana, the home is energy-efficient. Natural light and air flow throughout the residence in the warm summer months, and a strong thermal envelope insulates the interior in the winter months. Also inside, a specially-designed ceramic piece was installed to to achieve strong, insulative acoustics. An experimental pavilion is separated from the main house by a swimming pool, which uses naturally filtered rainwater. Similar in style to the home, the innovative pavilion was designed in collaboration with the prestigious Art Center College of Design Pasadena. The team built this structure with an inflatable formwork injected with ecological concrete. This building method gives the structure its organic shape, that, according to the architects, was inspired by the existing pine trees that surround the complex. 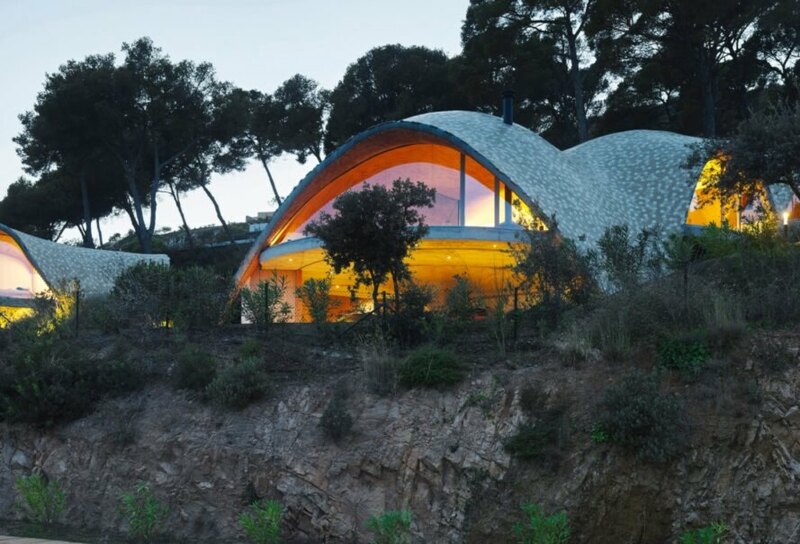 Enric Ruiz-Geli designed the Stgilat Aiguablava villa to blend into the landscape. 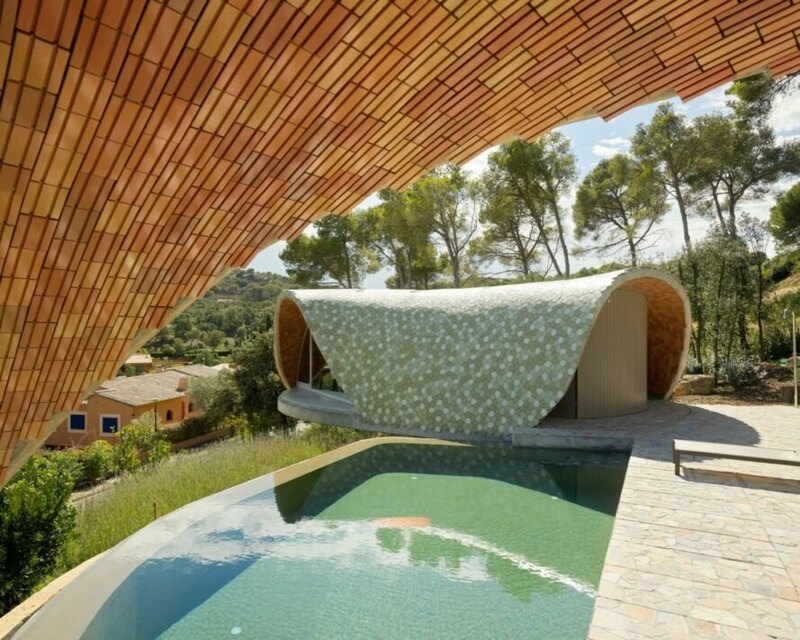 The Stgilat Aiguablava villa is a prototype that blends traditional building techniques with advanced digital manufacturing. The building site has two domed structures, a home and a pavilion, that are separated by a swimming pool. 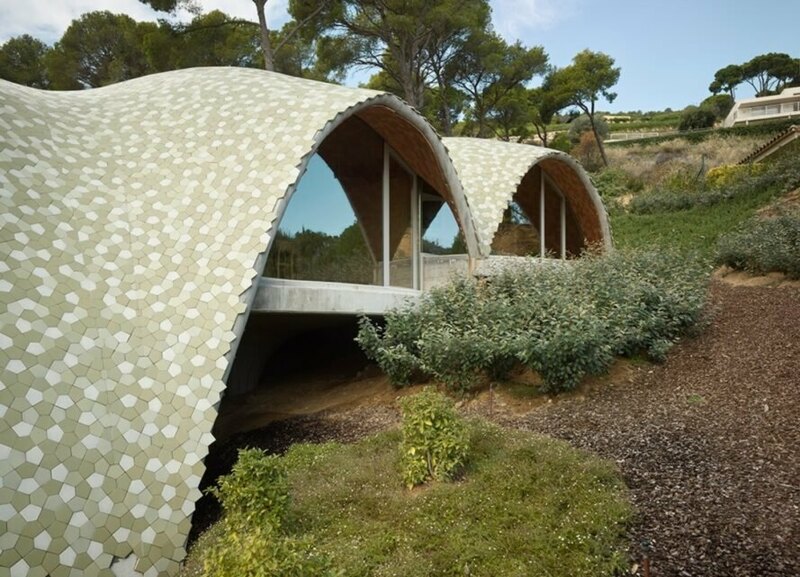 The design is inspired by the local traditional vault system, known as the Catalan Volta. The domed structures are built using advanced fiberglass manufacturing. The wild landscape is kept in tact to protect its natural growth. The interior of the home is naturally illuminated. The home's front facade is clad in floor-to-ceiling glazing. The domes are clad in custom-made ceramic tiles. The domed structures are energy-efficient.